Davy Jones’ locker is an activatable artifact. Opening it requires 50% godpower and may effect the hero in a good or bad way. Gaining up to 10.000 gold coins is just one of many good outcomes, whereas finding the locker full of homework due to be finished and turned in by tomorrow — oh, I mean empty — is one of the bad ones. It is obtained by defeating the Drowned Captain at the end of a series of ocean-themed mini-quests or by happening upon it while swimming in the Qu'tox Ocean. 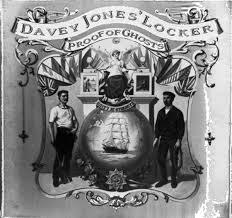 07:22 Felt a burning desire to open the Davy Jones’ locker. Found inside something unbelievable — a scroll with instructions on how to get a premature level up! There are many possible outcomes of activating a Davy Jones’ locker[BB 1]. Nothing happening. If your hero has not completed their temple, the annoyed hero tries to break the Davy Jones’ locker with a golden brick resulting in the loss of the item and the golden brick. If the temple is complete, nothing happens but the loss of the artifact and expenditure of godpower.